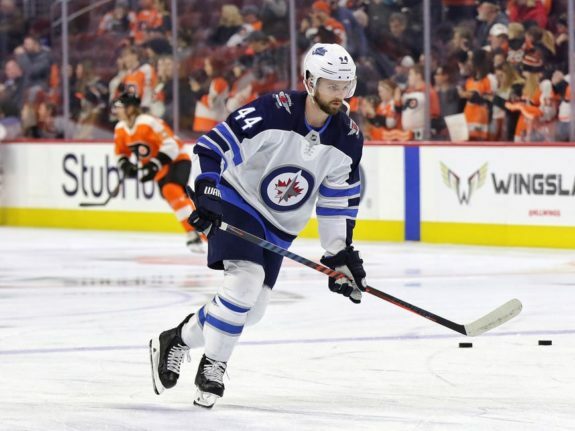 It’s that time of the hockey season where every team brings out their wish list for the trade deadline, and much like last season, the Winnipeg Jets seem to have a need up front for a second-line center. That may not be their most pressing need, however. When the Jets dropped three straight games to the San Jose Sharks, Montreal Canadiens and Ottawa Senators between Feb. 5 and 9, they exposed some holes in their defensive game. Fortunately, this is the time of the season to fill those holes. Unfortunately, doing so does not come cheaply or easily, and the best option on left defense, Jake Muzzin, is already spoken for, thanks to the Toronto Maple Leafs. If the Jets want to acquire a steady puck-moving defenseman with experience, it will cost them. There is no doubt, however, that the Jets need exactly that sort of defenseman if they are to be a complete team. The loss to Ottawa, in particular, highlighted just how badly the Jets need an infusion of new talent on the back end. Shoddy performance against Montreal is one thing but another one against Ottawa after as bad an effort as they had in their last game…time to worry a bit about the Winnipeg Jets? Maybe. The loss in Montreal had its share of uncomfortable revelations for the Jets, as well, however. First and foremost, the team’s defense down the left side without Josh Morrissey is wildly and dramatically different, and not for the better. The past injuries to Dustin Byfuglien have revealed how shallow the Jets actually are on defense, but nowhere near to the degree that Morrissey’s (mercifully brief) injury did. Joe Morrow, Ben Chiarot and Dmitry Kulikov all played over 15 minutes in that loss. The results were that the Jets were beaten by a Canadiens team that out-skated them all night. A game where three defensemen who have all been healthy scratches at various points over the last two seasons play north of 15 minutes each is not likely to result in a win. During the third period of the loss to the Canadiens, a badly timed hit by Chiarot led to a goal that made it 4-1 for the Habs, effectively putting the game out of reach. In the same game, Morrow was victimized several times by speedy Canadiens forwards. The game served two purposes. One, it showed how valuable Morrissey really is; if I’m his agent, I’m saving that game on a USB stick and showing it to the Jets brass when negotiating his next contract. The other was to show that the Jets still need some help on the back end. Morrissey is back healthy now, but the playoffs take their toll on players, especially those who play as Morrissey does. Someone to help take the load off his shoulders would help immensely. Brilliant as Morrissey has been this season, he can’t play 30 minutes a night. Unlike the Jets’ right side, stacked with Byfuglien, Jacob Trouba and Tyler Myers, the depth behind Morrissey on the left side is slim. That’s a ridculous shift by the #NHLJets top line and the pairing of Josh Morrissey and Jacob Trouba. Hard work pays off, as the saying goes. This is not to say that everything is doom and gloom. It’s hard to be completely down on a team that’s sitting atop their division and only one point away from leading the conference as of this writing. But the Jets’ losing skid did reveal some cracks in their armor that ought to be patched before playoffs. Some would argue that the Jets are ignoring a solution that’s right in front of their noses in Sami Niku. He’s shown flashes of brilliance bordering on dominance this season and probably should have played on their road trip, but he’s young and probably not the answer for the upcoming playoff run. The Jets need a veteran puck-mover with good awareness and a reliable streak in his own zone. They need someone who can dependably get the puck to their talented forwards and play against the other team’s second or third line comfortably. A player of these qualities won’t just be lying around. Much like last season, when the Jets surprised the hockey world by acquiring Paul Stastny, they’ll likely need to think outside the box on this one. The Jets are loaded with tradeable assets for this deadline, not the least of which is their first-round draft pick, but the market is against them. There are so few quality left-shot defensemen known to be available that the prices are sure to jump. You don’t see too many of them this time of the season, but the Jets may really need to make a “hockey trade” on this one. Nic Petan and a first-rounder aren’t going to solve all their problems. Scrolling down the list of the best left-shot defensemen in the league, most are unlikely to be available for trade. 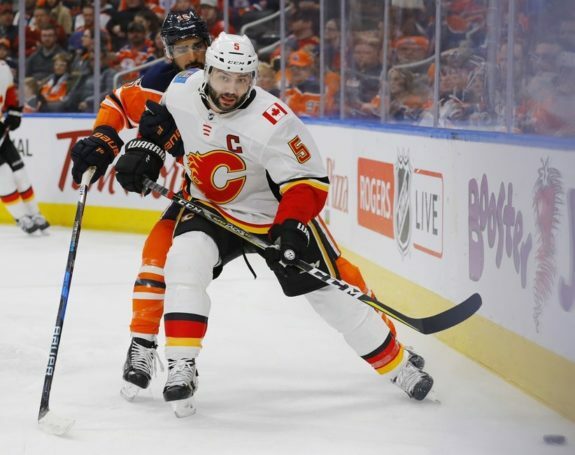 The Calgary Flames, primed for their own playoff run, are unlikely to move Mark Giordano, for example. Of course, the Jets don’t need to trade for a number one defenseman. What they need is a second-pair type. 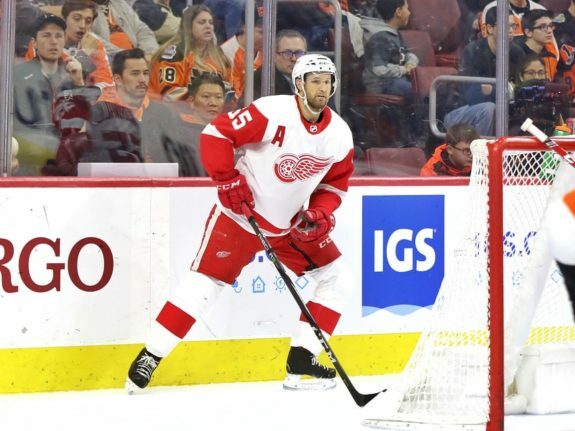 Setting the sights a little lower, the players generally accepted to be available include heavy-hitting playoff veteran Niklas Kronwall from the Detroit Red Wings, and younger but no less heavy-hitting, Nikita Zadorov from the Colorado Avalanche. Kronwall, in particular, might help solve the Jets’ problems. He and Morrissey have been compared in style in the past, and Kronwall would be a perfect mentor for him. He also comes with a Stanley Cup ring and numerous playoff wins under his belt. Then, too, the Jets could go for someone who hasn’t even been discussed yet. Kronwall, after all, would be a short-term solution. One name that should interest the Jets is Columbus Blue Jackets defenseman Ryan Murray. Murray is a left-shooter who routinely plays over 20 minutes a night and, with 24 assists on the campaign, can certainly move the puck. The Blue Jackets appear destined to lose Artemi Panarin one way or another, so they may be enticed by the Jets’ forward depth. Whatever the Jets do, they will be active players at this season’s trade deadline. While their forward core isn’t without concern (I’m certainly not against them pursuing a big-name center), their defense still needs attention. The goal for the Jets in 2019 should be nothing short of a Stanley Cup and defense can still win championships. And, as numerous NHL teams have found out, they can also lose them.